Screenshot from National Geographic film "Shooting Owls to Save Other Owls." There's an abundance of science videos on the internet, but not all equally amazing. Offering an eclectic mix of cool science videos, Science Today producer Molly Michelson recommends five of her favorite clips. 1. WHERE'D YOU GET ALL THOSE DEAD ANIMALS? When wandering around a natural history museum, it may seem wrong or cruel to see animal specimens displayed. The ethics of continued collecting practices are a hot topic among biologists, but the debate has largely skipped the general population. This Brain Scoop video explains why it's necessary for biologists to keep collecting species and the precautions they take to prevent long term negative effects on species populations. Most people have heard of Charles Darwin, but what about Alfred Russell Wallace? The New York Times published a paper-puppet animated video created by Flora Lichtman and Sharon Shattuck describing Wallace's contributions to discovering the theory of natural selection. Wallace traveled to Brazil and Southeast Asia, braving jungles and severe bouts of malaria, to realize that the natural world is full of competition and death. Only the strongest and most fit survive. When the theory was originally presented to other scientists, Wallace and Darwin got equal credit, but Wallace hasn't survived history the way Darwin has. In the old growth forests of Northern California and Southern Oregon, wildlife biologists have been selectively killing one species of owl to save another. 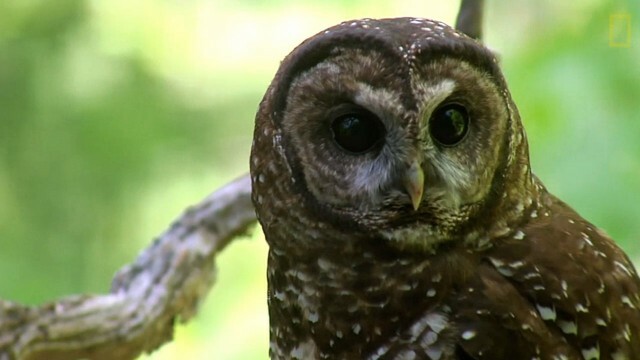 For decades, biologists have been watching the spotted owl population decline, recently as much as eight or nine percent a year. The species crash aligns with an increase of barred owls in the same area, who like the same habitat and chase off the spotted owls. This National Geographic video makes it clear how tough the choices can be when trying to preserve natural habitat and wildlife for generations to come. The California Academy of Sciences, in collaboration with Khan Academy, has developed a fascinating video explaining how global climate change has increased ocean acidification and how all that affects biodiversity. It takes viewers through the chemistry, but connects the formulas to the really important question of, "why does this matter?" And, since it's a Khan Academy video, it comes with some handy questions and other lesson materials connecting to other issues related to biodiversity. This video from McCauley Labs may not seem very exciting, but it illustrates the dual-sonar frequency imaging technology that scientists can now use to track movements of species like manta rays as they travel across coral reef lagoons. The technology helps them detect patterns and document changes.